As with all steamers produced by Jiffy Steamer, the curtain steamers are carefully tested before leaving the production site. 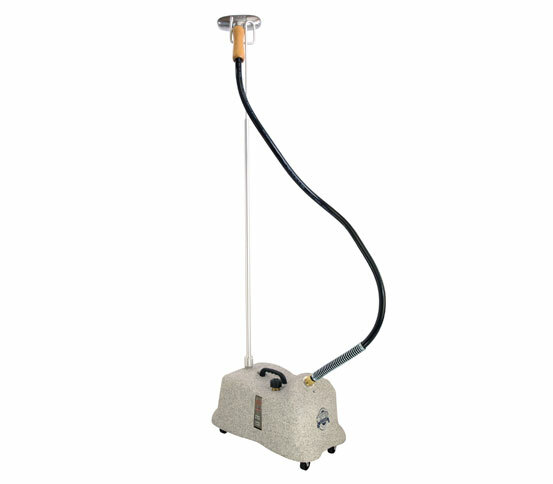 This powerful steamer is extremely reliable and highly practical. It has castors on the bottom, which makes it easy to use and has been fitted with safe automatic boil-dry protection. 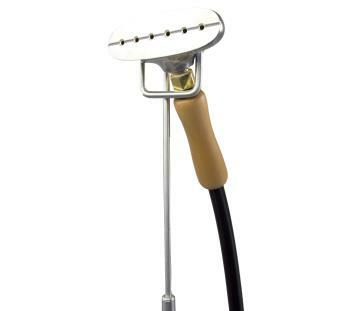 The J-4000 M Jiffy Steamer has a water tank with a capacity of nearly 4 litres, and a convenient preheat setting. Once the steamer has reached the correct temperature, it is ready to steam within 2 minutes. The large water tank capacity is sufficient for nearly 2 hours of continuous steaming. The castors at the bottom ensure the steamer is easy to move around. Do you have any questions about the J-4000DM professional curtain steamer? If you order the J-4000DM curtain steamer by Jiffy Steamer through us, we will offer you a full 2-year guarantee. Please contact us any time in case of questions about the steamer’s use, care or service.